Vigilante superhero, bank robber, notorious gangster, he has been no stranger to roles that find him on the wrong side of the law while on the screen. 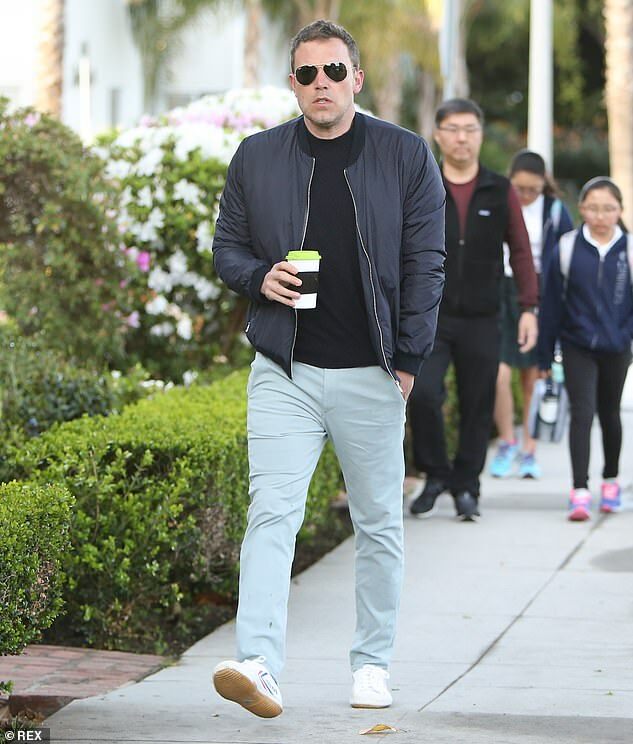 But Ben Affleck found himself face to face with a real-life police officer on Saturday, after getting pulled over in his sleek Bentley for allegedly driving on the shoulder of an LA freeway. The 46-year-old actor looked calm and collected, however, as he sipped a beverage and smoked a cigarette following the incident. 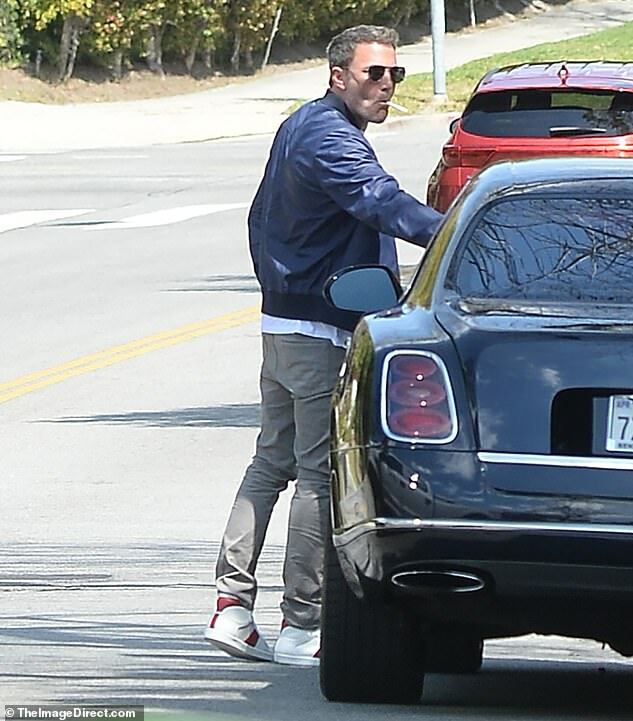 An eye-witness told DailyMail.com that the Batman star was pulled over for allegedly driving on the shoulder, and Affleck was spotted chatting with a officer just off the highway while behind the wheel. It remains unknown whether or not he received a ticket, but the actor did stop to collect his thoughts following the interaction. He sported reflective silver-framed aviators and his salt and pepper locks were cut short and perfectly coiffed. Ben recently rekindled his romance with Saturday Night Live producer Lindsay Shookus. The Town star has been sober since getting out of his most recent stint in rehab and sources close to Shookus say she’s been ‘impressed’ by his commitment to his well being. In fact, it was Ben’s choice to seek help and get clean that prompted Shookus to want to start their relationship back up, according to Us Weekly. In 2017, the couple went public with their relationship, though some reports claimed that they were dating in secret for years by then. The following year the pair split amid Ben’s spiral into drinking and substance abuse. Since getting sober again Affleck has been focused on his health, his children, and his work. The star shares three children with ex-wife Jennifer Garner, Violet, 13; Seraphina, 10; and Samuel, seven.